How do we avoid magical thinking and shortcuts that dangerously risk our doom? The interim season for a congregation without key ministers can be a time of great danger and also a time of great opportunity and preparation. As we continue thinking about the missional and doctrinal mountains on which we are willing to die,*[note1] let's remember one of the greatest dangers of the mountains: lack of proper preparation. Since the earthquakes in Nepal and the death of 18 mountaineers at the base camp on Mount Everest, the mountain has been closed. The reason for the mountain's closure is not to mourn the loss of those who died. Nor is it to give the mountain a rest. 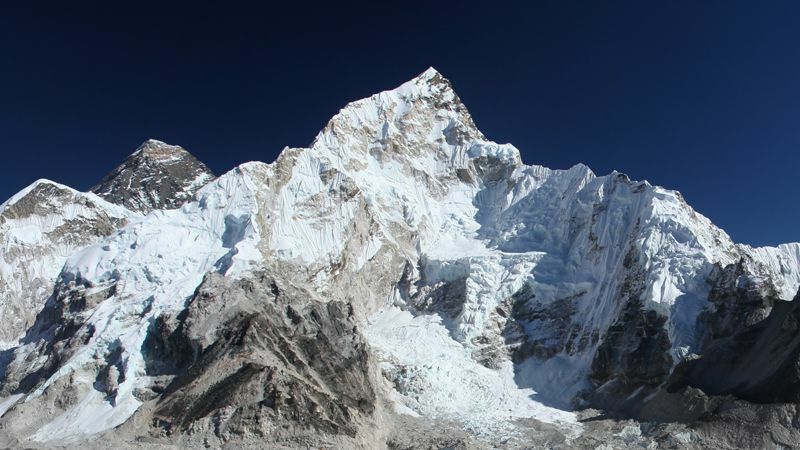 While these emotionally important elements have been recognized, the real reason is the danger of a specific part of the mountain — the icefall above the base camp. 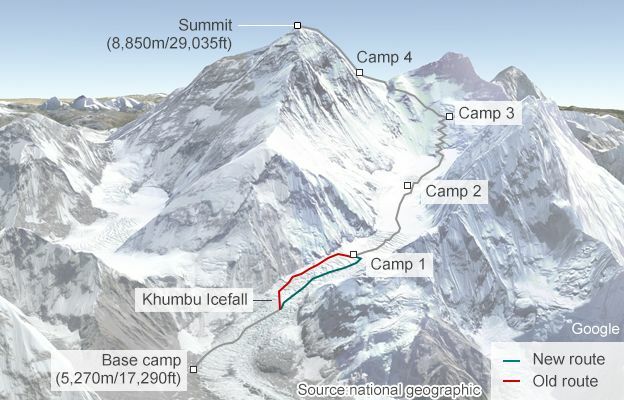 Of all the obstacles to those ascending Mount Everest, the Khumbu Icefall is perhaps the most treacherous. 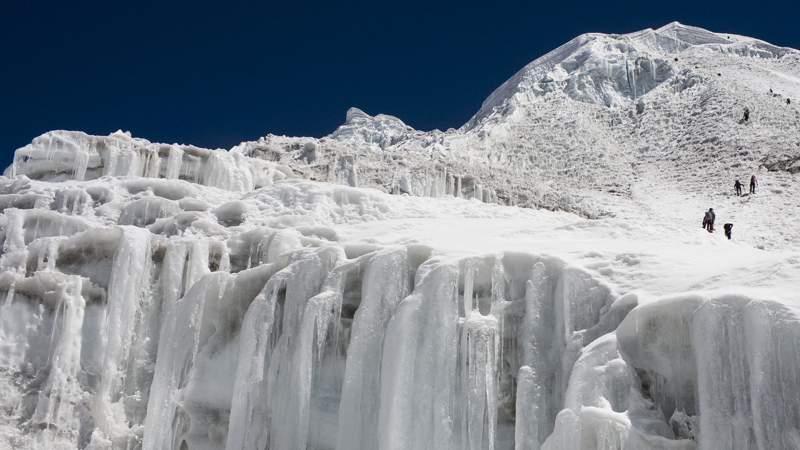 Times of church transition can be as dangerous for churches as the Khumbu Icefall is for climbers on Mount Everest. This adjustment is especially true when that transition involves the loss of key ministers and other key church leaders. The temptation for all of us in transition is to rush the process and to reach for solutions based upon magical thinking. If only we could change this thing about worship, then our attendance will soar because we will be able to reach more young adults. If only we could hire this one person for our ministry staff, then we would be much more effective in our ministry, and the church will grow. If we could get rid of that person from our leadership, then things would go a lot more smoothly, and we can get more done for the Lord. If only we could agree doctrinally, then everyone would get along better, and we could get the church moving as it was in the old days. Two immediate dangers await solutions based upon magical thinking and the disregard of proper preparation. One danger is that that the magical thinking solution works only temporarily. This short-term success blinds us to the deeper problems that will eventually emerge again later. Unfortunately, these deeper problems usually re-emerge with more force and fury. The timing of this re-emergence is often orchestrated by Satan so that it occurs at a very vulnerable time when it can do the greatest damage to both the congregation and her people. A second danger is that the solution based on magical thinking doesn't work at all. When this failure comes in the middle of an important transition, a congregation is very vulnerable to disaster. The congregation is often stretched thin facing tight budgets, tense emotions, and restless members. Such a disaster can be the proverbial straw "that broke the camel's back" in a weary and discouraged church caught in transition. The greatest danger, however, is that magical thinking short circuits a congregation's needed spiritual journey. The opportunities for spiritual growth and renewed reliance upon the leading of the Holy Spirit are essential for the health and future of every church. As the secular culture grows more hostile to Christian faith and church involvement becomes less a cultural expectation, the need for this growth is vital or congregations drift into little more than personal preference and consumerism. Before climbers were allowed back on Everest after the recent earthquakes in Nepal and deadly avalanches on Everest, the Khumbu Icefall required the work of a group called Icefall Doctors. The Khumbu Icefall had to be scouted, repaired, and new ways chosen through the dangers of this very challenging transition across this dangerous and ever-changing glacier. This hard preparation and transition work was necessary for anyone wanting to make the ascent. So while the last few months appeared to be months of inactivity on Everest, quite the opposite was true. The careful and necessary work was being done to prepare the way for ascent and to allow outfitters to develop plans to prepare their climbers for the ascent. 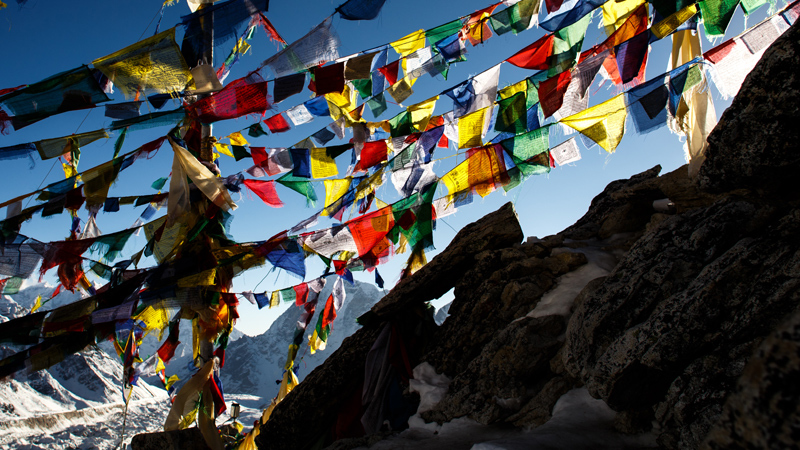 For a congregation in transition, this work in the Khumbu Icefall can be a helpful reminder. Magical thinking won't work. Having a lofty goal is not enough. Having talented people is not enough. Having a lot of willpower is not enough. There are no quick and easy fixes for entrenched challenges. There are no shortcuts around the balanced spiritual work of preparing ourselves to follow the Lord, involving his people, and investing our time in spiritual preparation. These three must exist in balance for the purpose of "attaining to the whole measure of the fullness of Christ" (Ephesians 4:13) as it grows "to become in every respect the mature body of him who is the head, that is, Christ" (Ephesians 4:16). These three pave the way for the congregation to find true unity in living, serving, and growing into the bodily presence of Jesus (Ephesians 4:14-16). While not always easy to achieve in balance, these three elements must be in balance for a church in transition to move beyond the tumult of the transition and into the productivity of being Jesus' presence in a specific community with a specific mission. Therefore, each congregation needs to share a commitment to each other inter-personally. Relational work is necessary for us as Jesus' disciples, especially in transition times. How a church solves problems inter-personally dramatically impacts what that church can do together as a family of God's people. So much of Jesus' teaching focused on this relational component. The Lord taught his disciples about their need to love each other and to overcome relational differences. He taught his disciples that their worship is not going to be worth much unless they get these relational issues addressed genuinely and inter-personally (Matthew 5:21-24; Matthew 18:21-35). Jesus said that his disciples would be identified as his followers because of their love for each other (John 13:34-35). Our relational work with each other is vital for us to fulfill our mission as Jesus' presence in the world! Also, a congregation needs to have a clear center for truth. Paul's words in Ephesians reminds us that this doctrinal center has to be rooted in the very nature of God. Our understanding of who God is as our Father is integral to how we live out our life of faith in his family and in the world. All of life is bound up with honoring the "God and Father of all, who is over all and through all and in all" (Ephesians 4:6). Being children of our Father, we want to reflect our Father's righteous character and gracious compassion in all we do. Our understanding of our Father is rooted in the grace displayed by the Son who is Lord of all, yet gave up himself for us all. Our participation in his grace is built on our faith in who Jesus is and what he has done for us. Few of us like to face our stuck points, interpersonal conflicts, differences in passion, or unresolved issues among leaders. This grace is experienced as faith leads us to participate in Jesus' death, burial, and resurrection through baptism. The Spirit we receive when becoming Jesus' disciples lives in us and ties us to each other. Our connection in the Spirit makes us one body, Jesus' bodily presence in the world. The Spirit alive in us not only empowers us to live for Jesus and have gifts to use in his service, but also becomes the basis for our assured hope. The Spirit, who raised Jesus from the dead, is alive in us and will one day also give us the resurrected life we will share together and with God. The third area of spiritual focus that Paul emphasized involves mission and ministry. Leaders in God's family, the church, are not supposed to be decision-makers. They are servants who do the work of ministry and equip others to use their gifts to do ministry. Only when leaders equip and all other family members serve will the church, Jesus' bodily presence, "reach unity in the faith and in the knowledge of the Son of God and become mature, attaining to the whole measure of the fullness of Christ." So, how you are addressing each of these three key areas of focus? Are you committed to loving each other more than past differences, present confusion, and ongoing fears? How are you going to help your people do this? How are you going to address unresolved personal differences? Have you agreed on the key doctrinal positions you hold as a leadership and a congregation? Are these doctrinal positions expressed in clear and simple ways? Are they centered on the nature of God as Father, Son, and Spirit? Are you as leaders serving with a special focus on equipping your people to use their gifts? Are your members challenged to use their gifts to serve others? Do they know that the use of their gifts is vital for the congregation to grow into the living presence of Jesus in your community? These must be key areas of focus during the interim. This preparation allows you to call ministers and leaders who will partner with you in this balance of relationship, truth, and ministry. Without this preparation, we lose sight of our call to make Jesus come alive in our community through the ministry and mission of our church. Anything less risks catastrophic failure even if the mountains we have chosen to pursue are glorious! If you would like more information about ways to use your interim season to prepare for God's next stage of work for you, please contact Tim (Tim@team.imp) or Phil (Phil@team.imp). In addition, our partners at Hope Network Ministries are ready to help with other kinds of mentoring and consulting to help you address the kinds of opportunities and challenges addressed in this message. From "After Searing Tragedy, Everest's Deadliest Route is Now Off Limits" in the "Washington Post" (February 2015), by Sarah Kaplan. "A Way Through the Ice Fall" by Phil Ware is licensed under a Creative Commons License. Heartlight encourages you to share this material with others in church bulletins, personal emails, and other non-commercial uses. Please see our Usage Guidelines for more information.